Nothing quite shouts Christmas like a Poinsettia. If you are anything like us, your house will be full of Christmas by now; the tree is up, the stockings are hung, the wine is chilling (or being drunk already) and your Poinsettia is in pride of place on the dining room table. 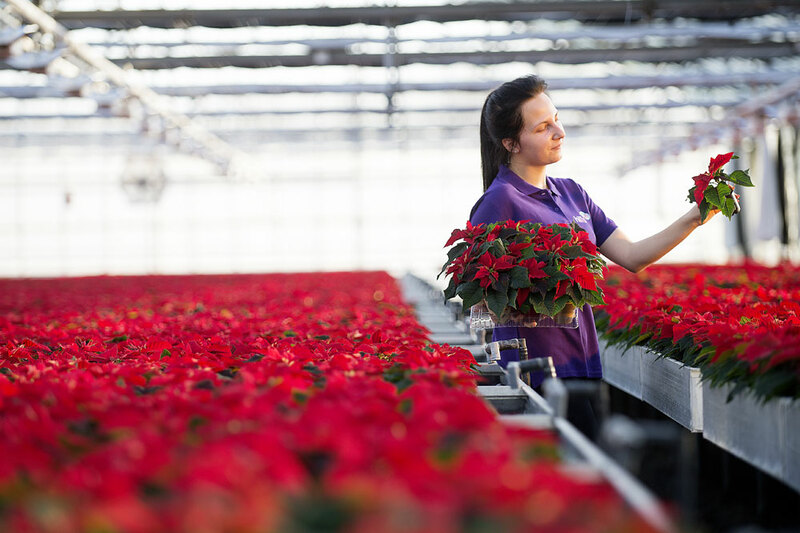 Poinsettias are known to be fairly sensitive so we thought we’d write a blog to make sure you get the most out of your Poinsettia this Christmas. Here are some simple steps for you to follow to ensure your beautiful plant is still standing after all the festivities have ended. Keep your Poinsettia away from draughty areas in your home. Poinsettias quite like it slightly warm but not beside the fire as they will lose all their leaves. Instead, place your Poinsettia on the table or on a sideboard; they should thrive in your home at this time of year and they look particularly festive with their wide red bracts. Watering your Poinsettia is a must. Feel the soil and when it becomes dry on top, give it a drink. A tip from our production manager, Luke Lloyd; “Don’t leave it to stand in water as this can cause root rot”. Keep your plant in an area where the light is good but away from direct sunlight. With these simple tips, your Poinsettia could last until March; in fact we heard from one of our customers that their Hills Poinsettia, purchased in December last year, lasted them until August. Now there’s a challenge. Let us know if you manage to beat that! 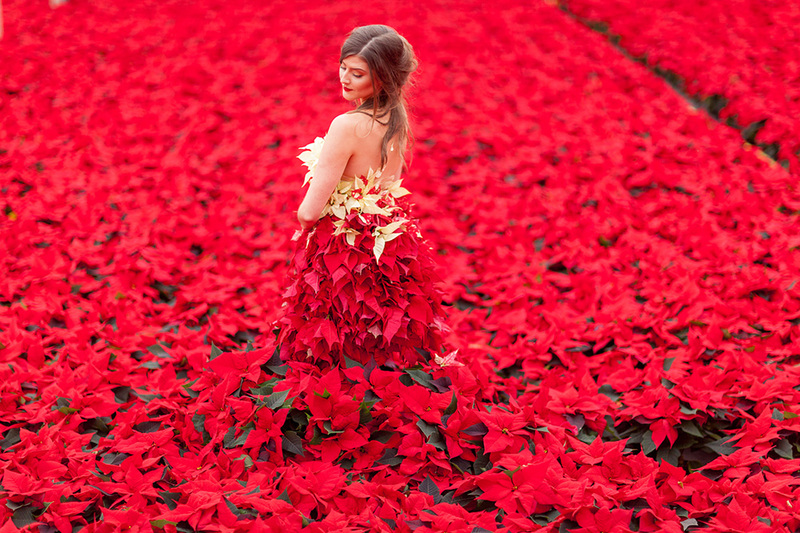 Christmas isn’t Christmas without a Poinsettia!